This month, the spotlight is on author, Marc Brown. This famous Massachusetts resident gained populatiry by writing and illustrating the Arthur series. PBS liked his books so much they chose to produce a popular children's show based on the books. 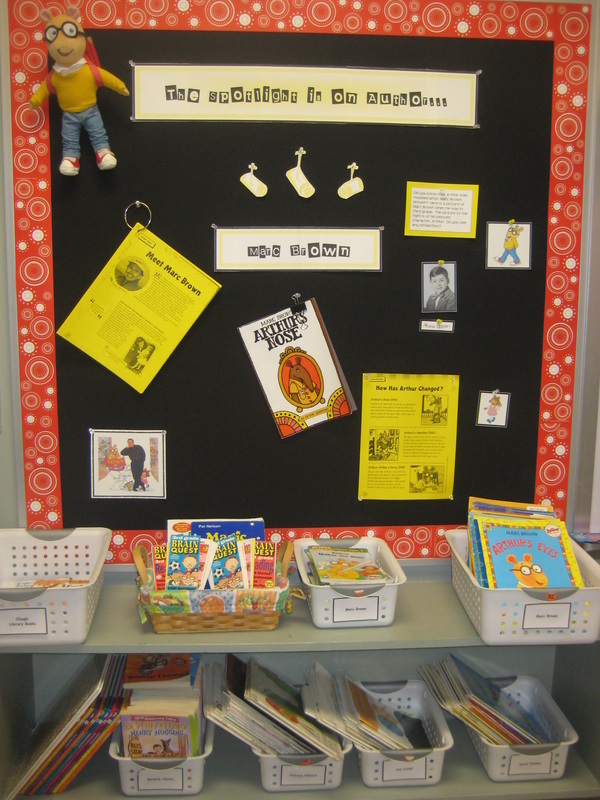 We love Arthur books because so many of the challenges that third grade Arthur faces are the same ones that we face each day! 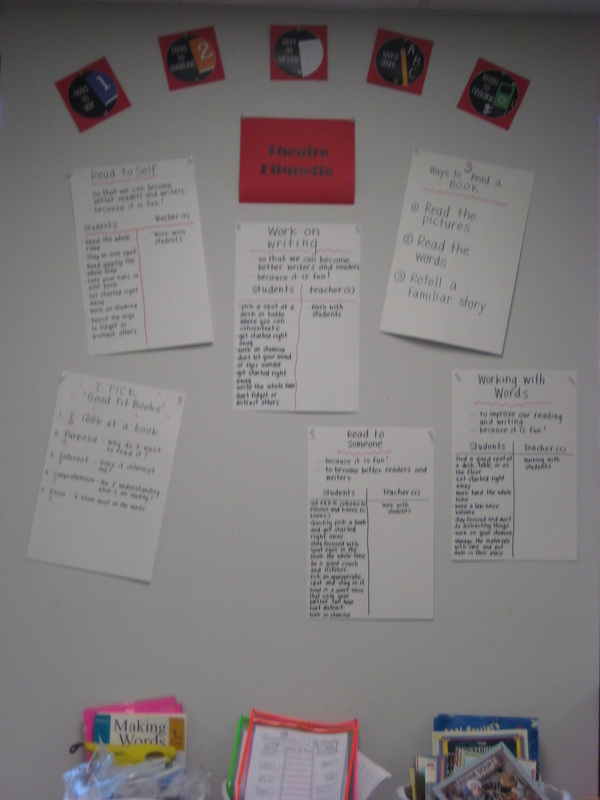 We add I-charts to our "Theatre Etiquette" wall to remind us of the good behaviors we should practice during the Daily 5. Keep watching as our collection is growing each day! This is a snapshot of an Every Day Counts morning meeting. Students, Alexa and Dean are running the show. 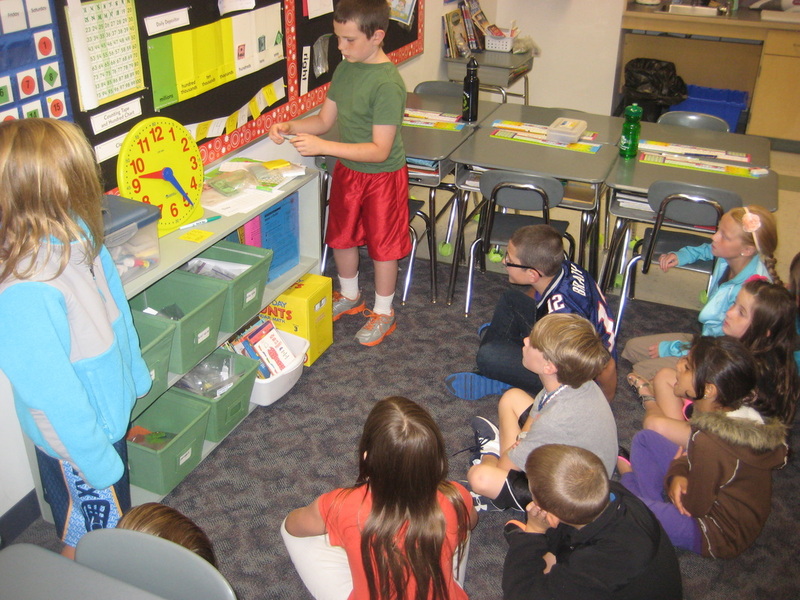 Because the students have really learned September's routine, they can certainly facilitate the morning meeting. I pipe in with the higher level questions to keep everyone on their toes. Cody is totally focused on his work. Love Leo Lionni. His fable-like stories are simple but the messages are STRONG. 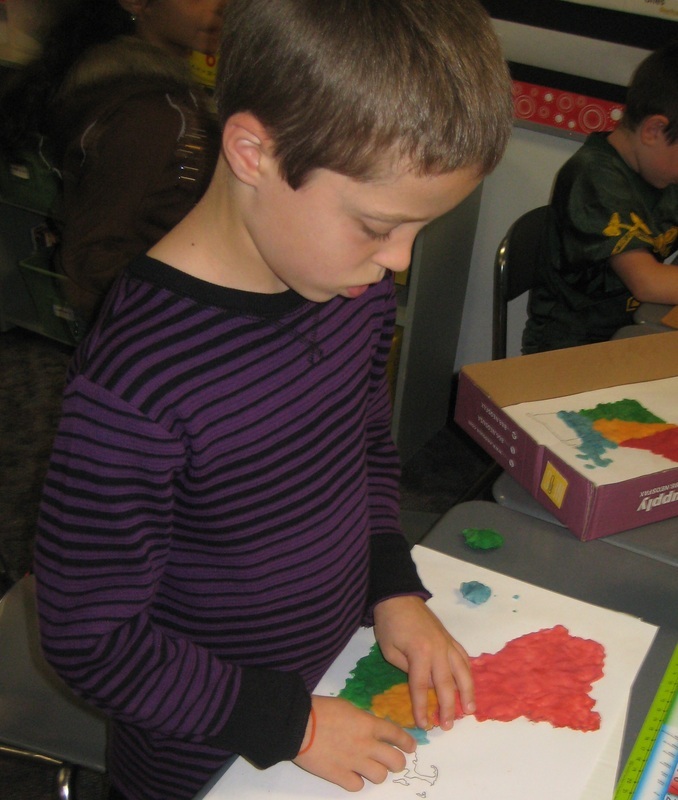 We enjoyed his work all throughout the month of October. He left a big impression on the students. Head shots and student written bios help to showcase Brigham Theatre's cast of characters. 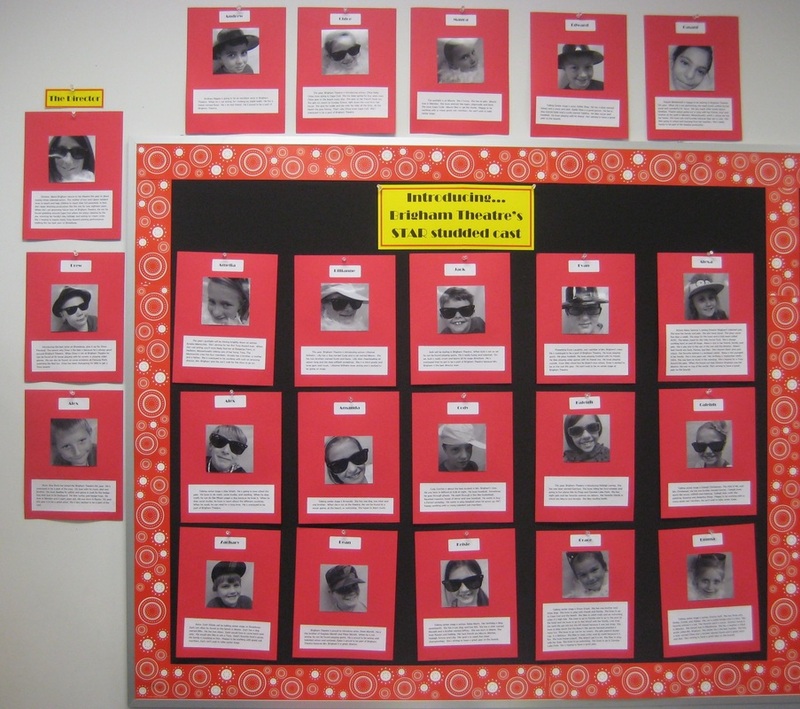 Tony Awards motivate the actors in our class to be their best when they're in the theatre! 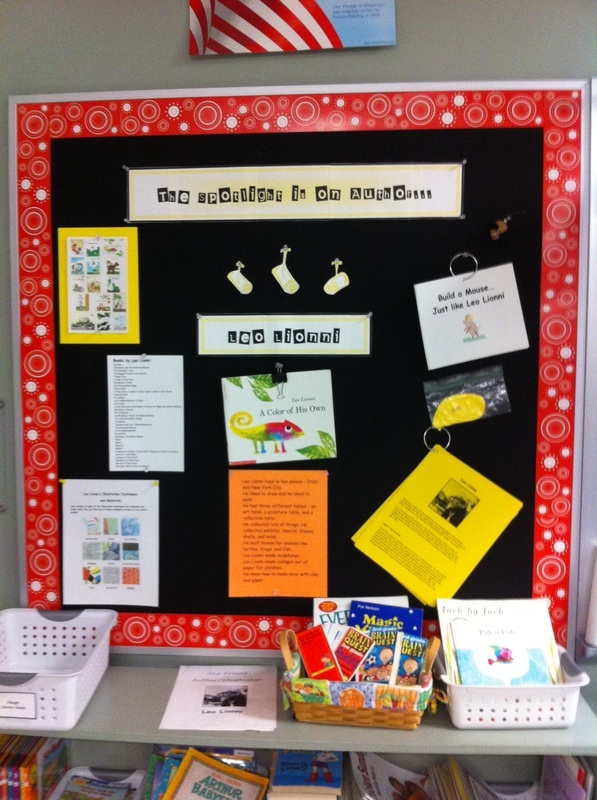 This is a picture of our CAFE board. New strategies will be added to the "menu" as they're introduced. Soon, I'll begin meeting with students and deciding on goals. 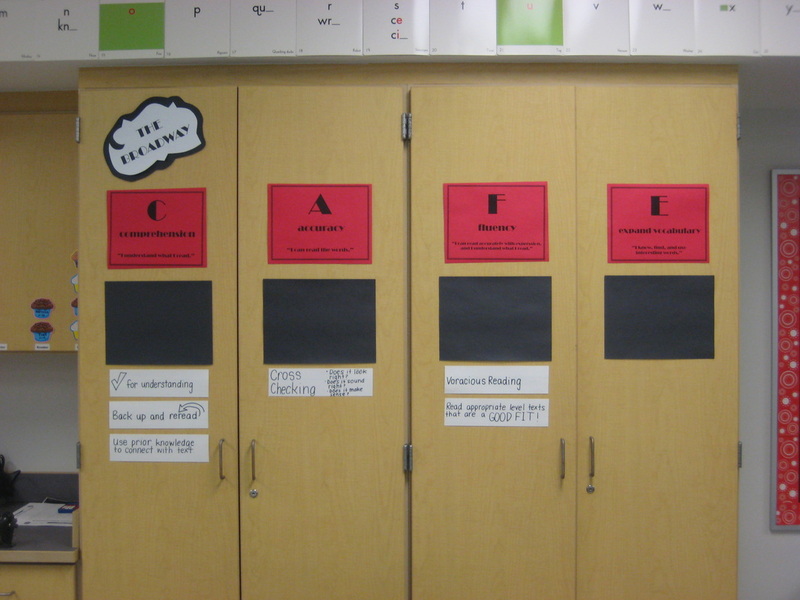 Students will declare their goals by posting their names on the black sheet under Comprehension, Accuracy, Fluency or Expand Vocabulary. Once goals are determined, "Parent Pipelines" will be coming home so that you can help your child work on his or her goal at home. 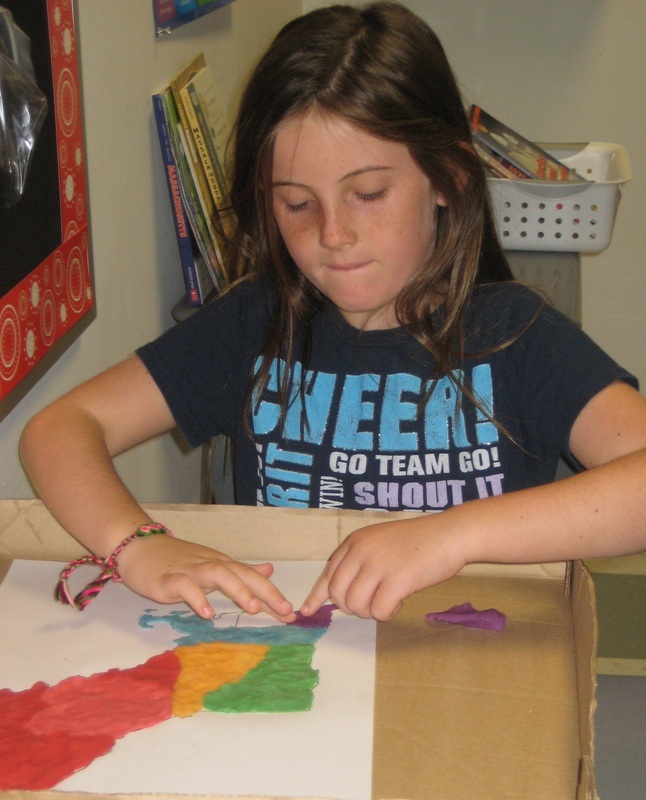 Pasant shows off her work. Just Connecticut and Rhode Island to go! 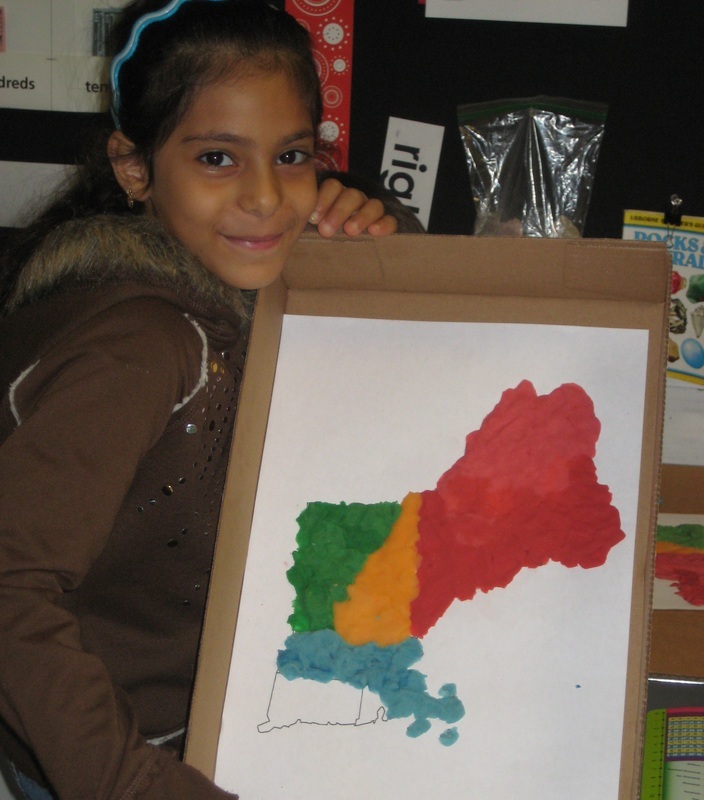 With a look of determination, Chloe adds Connecticut to her New England map. 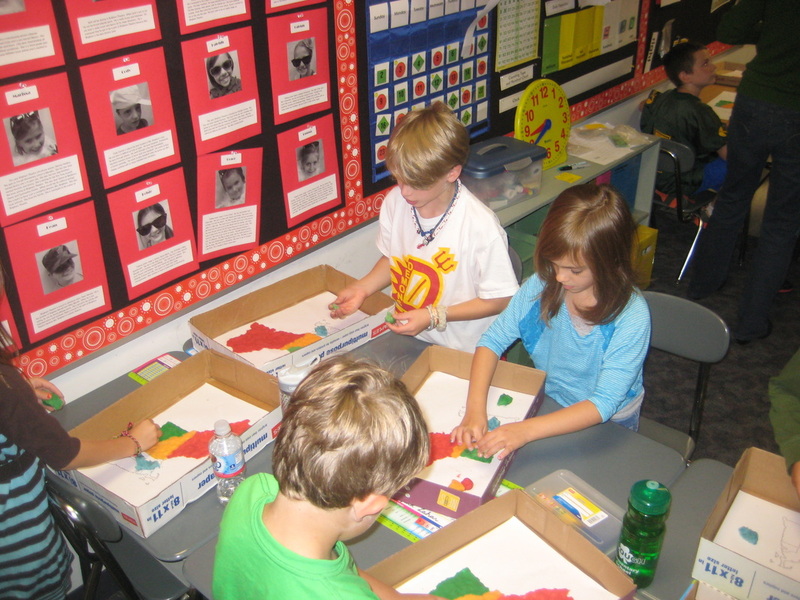 Parent volunteer, Mrs. Carchio, helps distribute the play dough while Zach and Alexa work together. 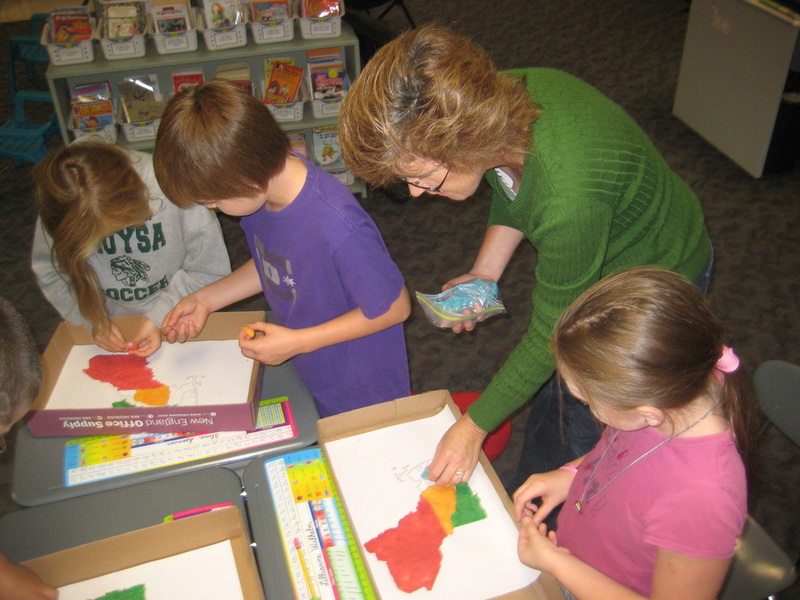 I'm always appreciative of extra hands when we get crafty! 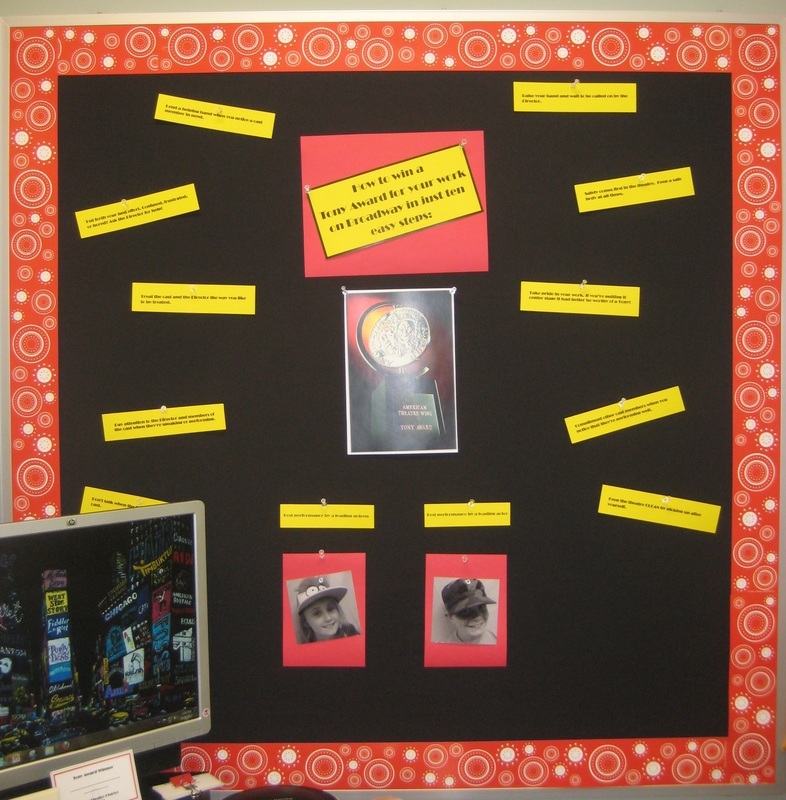 Students are LISTENING TO READING at the Pearson site. 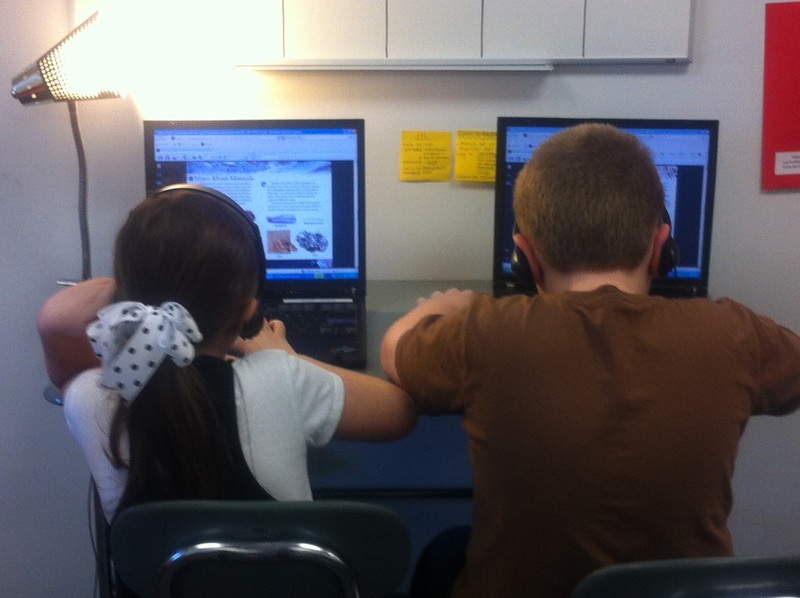 They're listening to a great non-fiction selection focusing on rocks and minerals. 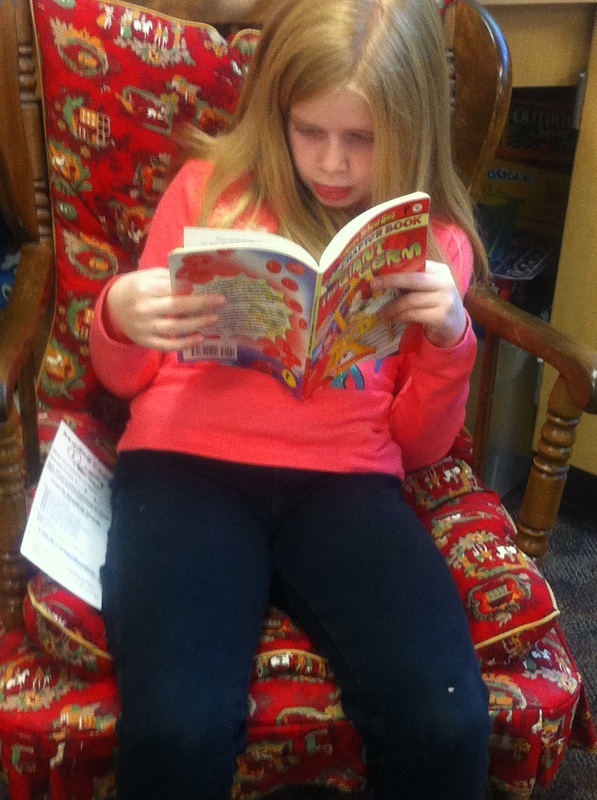 Haleigh is READING TO SELF. 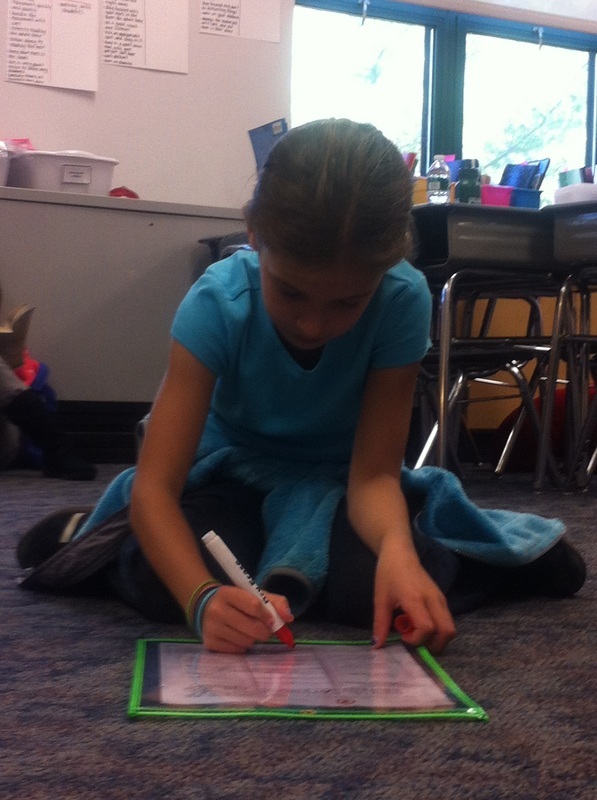 Amanda is WORKING WITH WORDS. 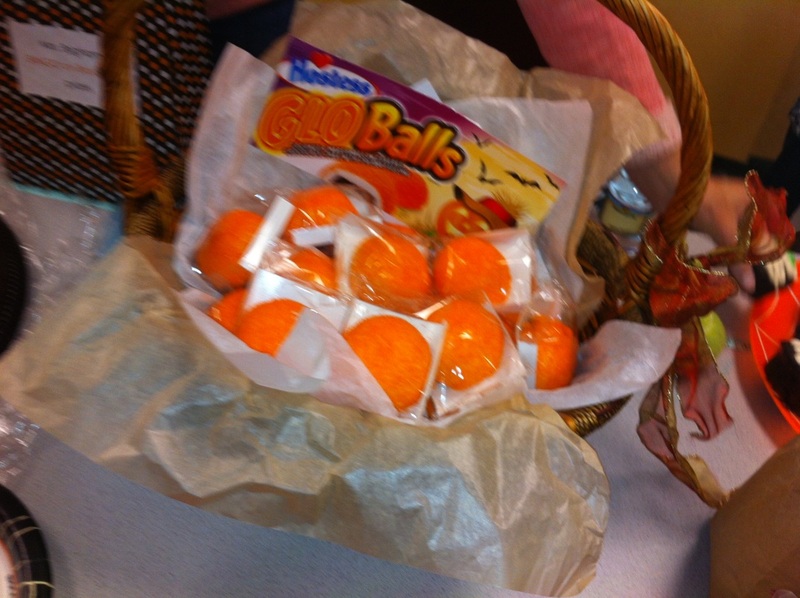 We loved our Halloween Glo Balls sent in by Lisa Christensen. The kids enjoyed the chocolate pops sent in by Stacey Spencer so much that they were devoured before I could snap a photo! 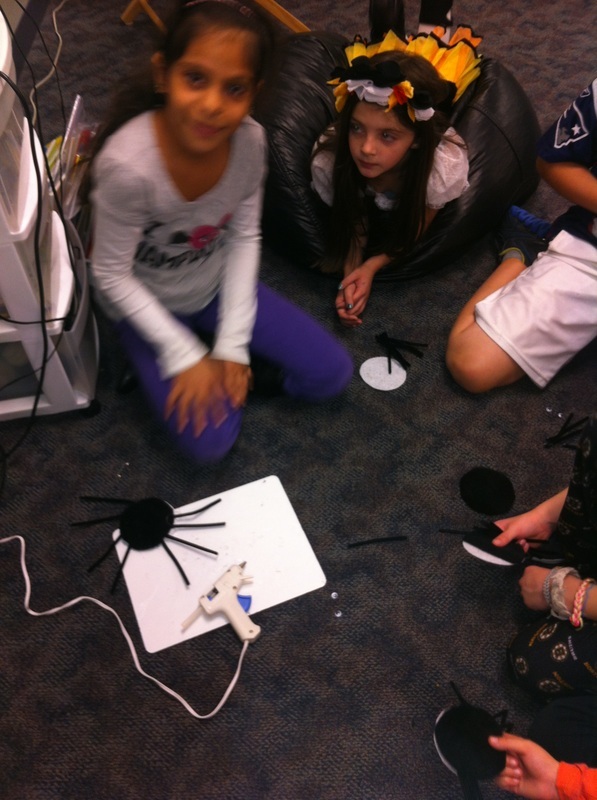 After reading the book, How Spider Saved Halloween, we made our own spider pins. Look fast! 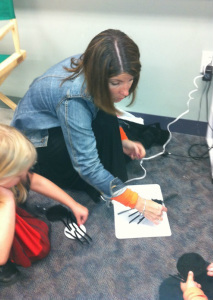 Is that Mrs. Brigham being crafty? 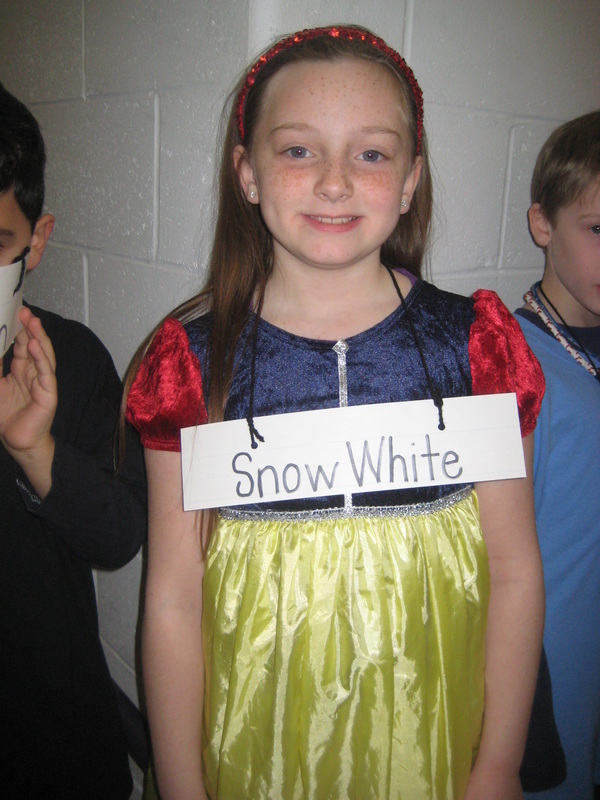 This is our beautiful Snow White played by Lilly. She rocked her solo in our play, "Geology Rocks"! 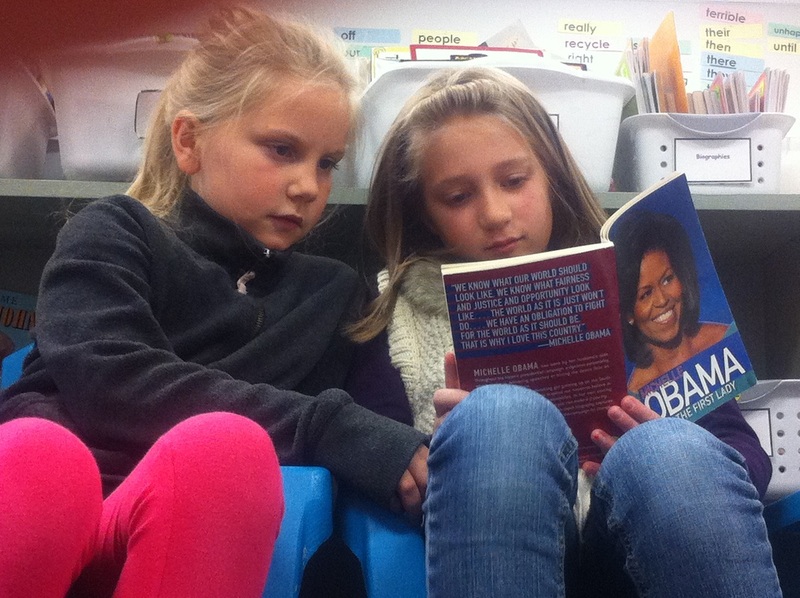 Maura and Amelia are READING TO SOMEONE. 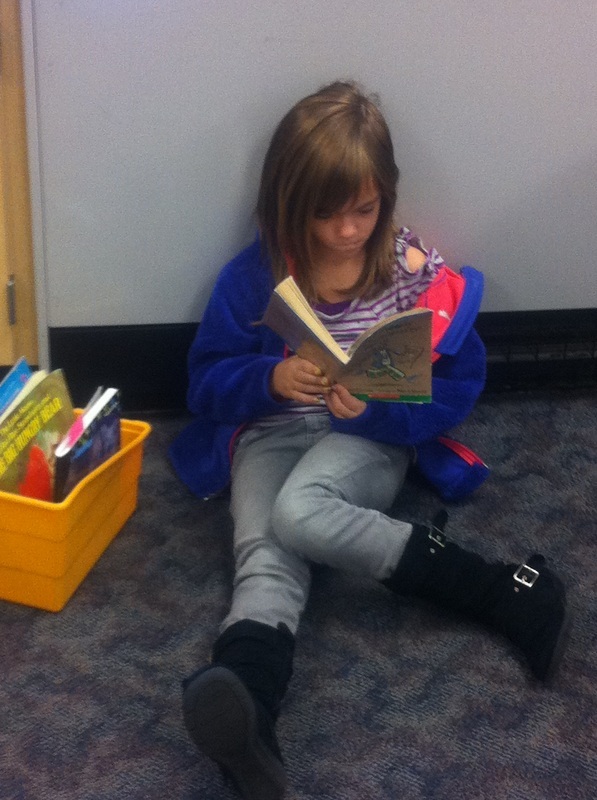 Enjoying a non-fiction selection, Emma is READING TO SELF. Thanks for these great cupcakes. 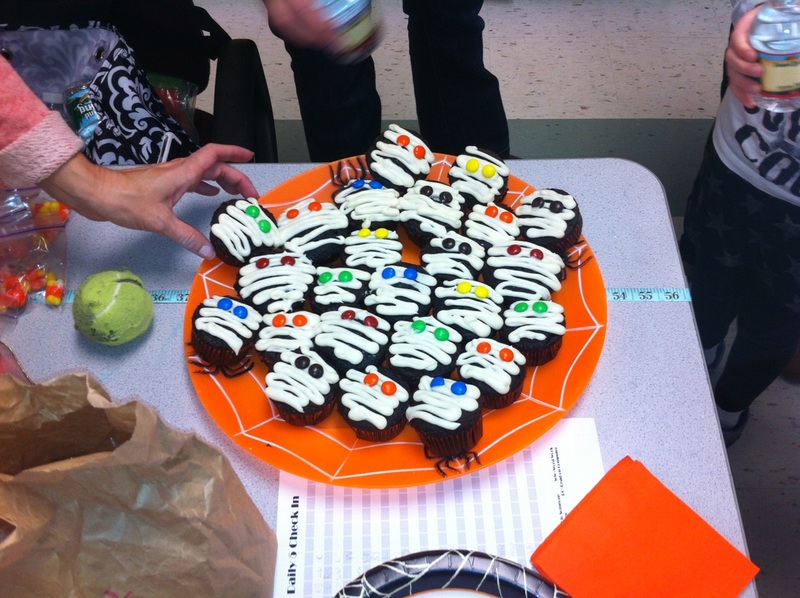 They came from the kitchen of Amanda's MUMMY, Melissa Frieswick! 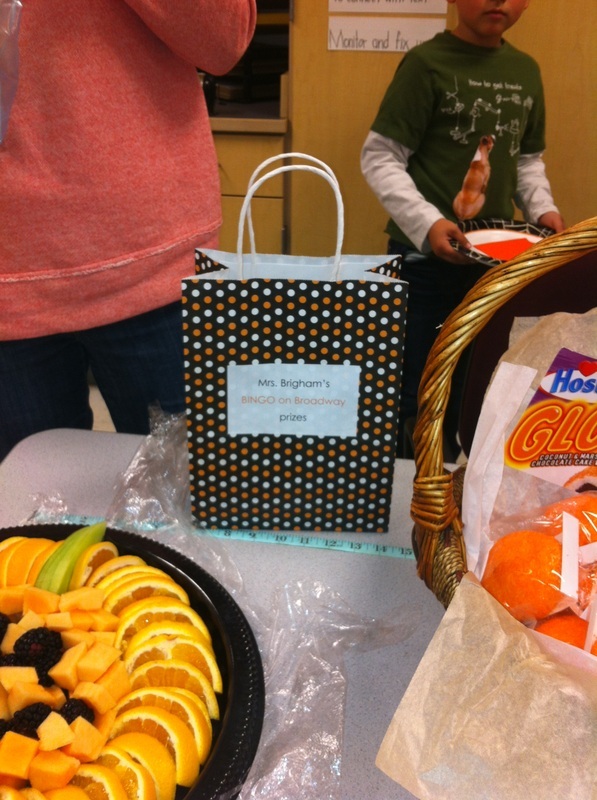 Thanks for the delicious fruit and fun Haloween Bingo game and prizes provided by Donna Shilale. 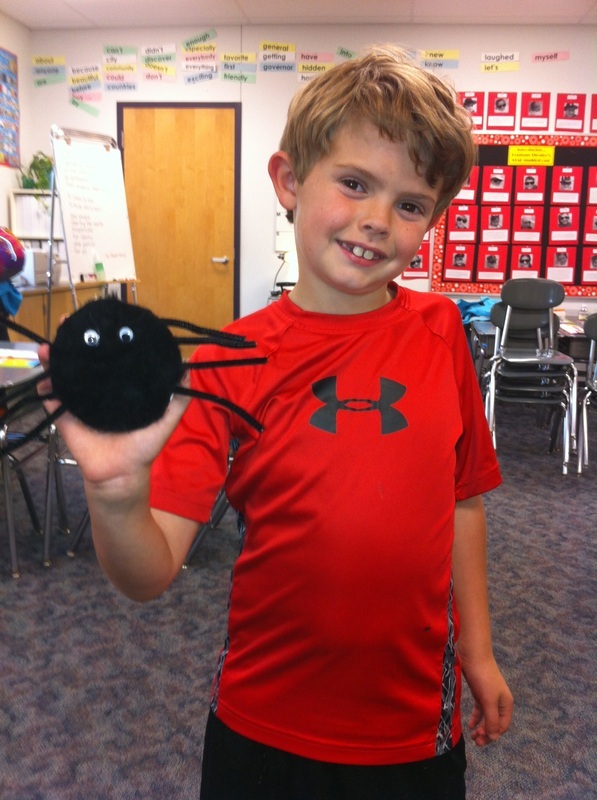 Jack is pretty happy with his hairy little spider! 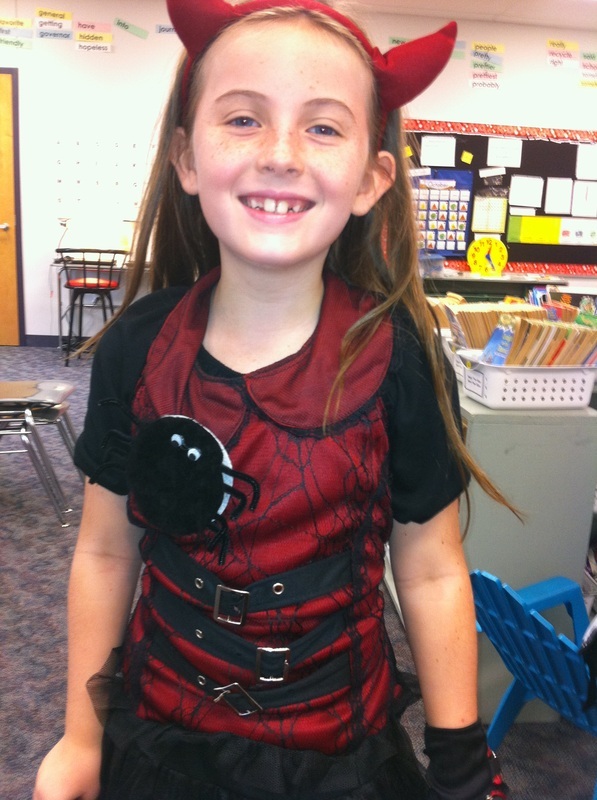 Chloe is sporting her little spider. The perfect accessory to any little devil costume. 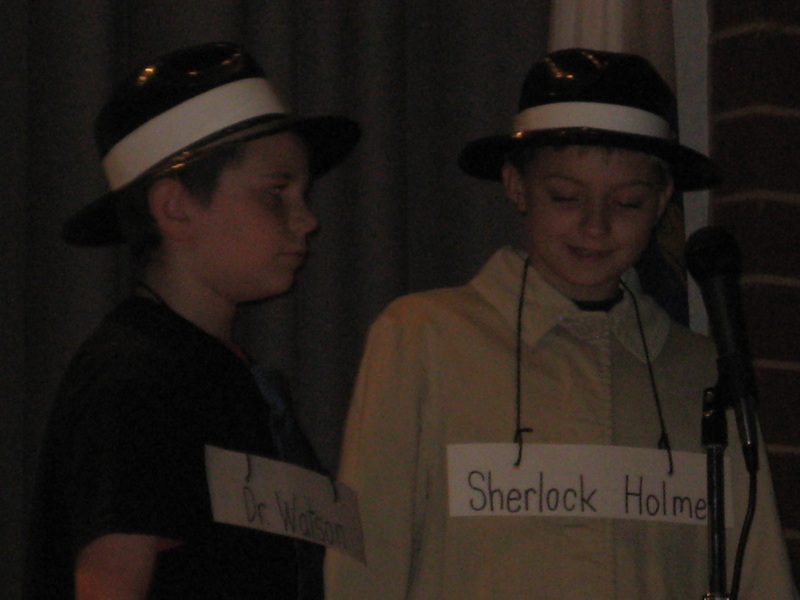 Sherlock and Watson were stars in "Geology Rocks", our first musical opera of the Broadway Season!